People Attempting to Help, or PATH was presented with the 2018 Community Impact Award at today’s summit for their efforts in East Texas. 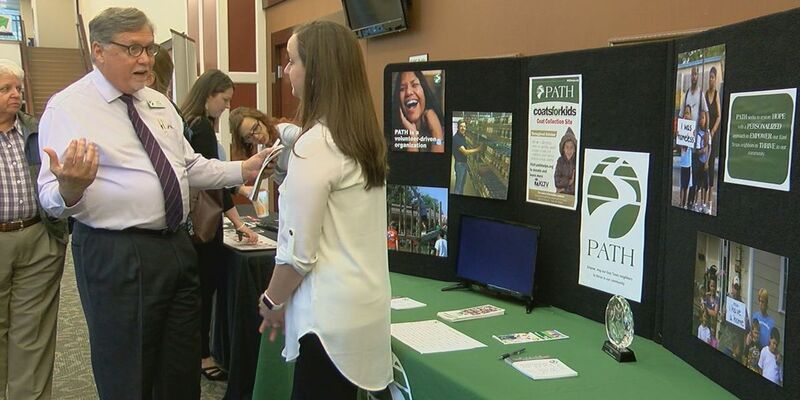 TYLER, TX (KLTV) -Hundreds of community members gathered in Tyler Thursday for the East Texas Human Needs Network Summit. The goal was to further attendees’ education about poverty and how it affects education, employment, healthcare, and transportation in the community. The event drew in several non-profit organizations, colleges, and local government officials. “About 16 percent of the population in East Texas is living in poverty,” says Christina Fulsom, CEO and Founder of the East Texas Human Needs Network. Ray Perryman, a noted Texas economist, served as the keynote speaker and shared his research on the economic consequences of poverty and how nonprofits make a positive difference. "When you give a person a fresh start in life, that affects their children’s life, that affects their grandchildren’s life and all those things translate into benefits that go beyond what you’re doing in that moment and in that place at that time with that person,” says Perryman. People Attempting to Help, or PATH, was presented with the 2018 Community Impact Award at the summit for their efforts in East Texas.